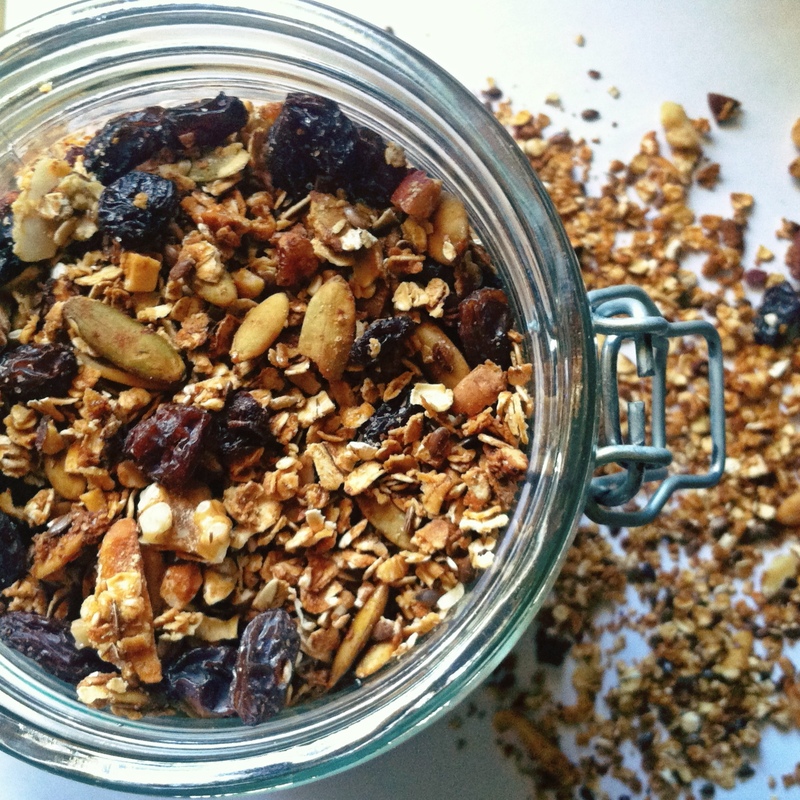 Healthy homemade granola, no oils and no corn syrup! All natural ingredients. Preheat oven to 325 degrees. Mix all of the ingredients (except dried fruit) in a large bowl. Pour mixture evenly onto a baking sheet making a single flat layer to bake. Bake for 30 minutes or until golden brown. Stir granola around every 10 minutes. Allow to cool then add your dried fruit.